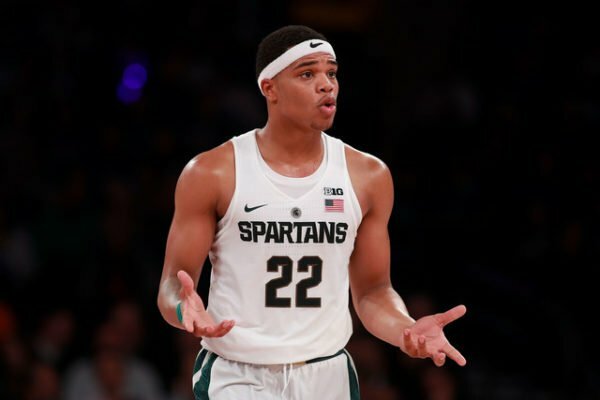 With the season just a little over a week away, Rush the Court’s Big Ten preview will tip off its coverage by posing season-defining key questions for each team. Today we address Indiana and Penn State. 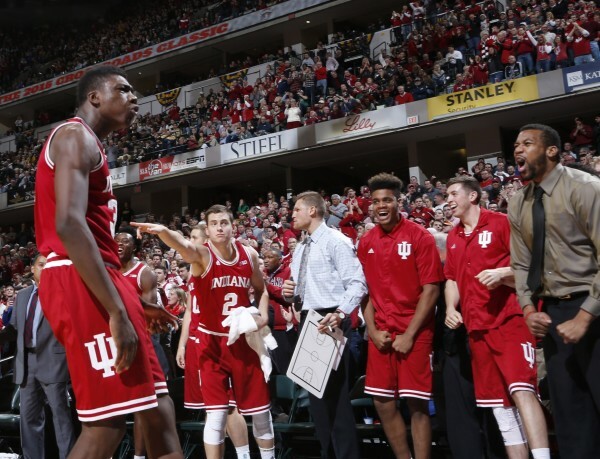 #10 Indiana – Will the Hoosiers buy in defensively? Over Tom Crean’s last four seasons at Indiana, the Hoosiers ranked outside of the top 50 nationally in adjusted defensive efficiency three times, including a 2014-15 campaign that set the program’s worst mark in the KenPom era (106.0). During that same span, Archie Miller-coached Dayton finished in the top 50 three times, reaching the NCAA Tournament all four years and twice advancing to the second weekend. The Flyers hung their hats on disciplined man-to-man defense and opportunistic aggression, principles Miller hopes to instill right away in Bloomington. 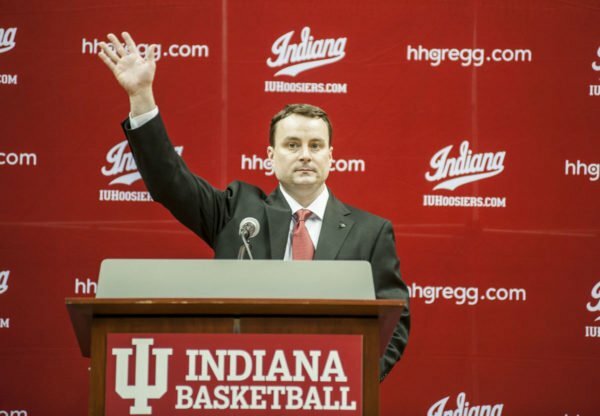 If his new team fully commits, the ceiling on Indiana — projected by KenPom to go 8-10 in the Big Ten this season — should be higher than anticipated, even if it takes a step back offensively. The Hoosiers lose their three most dynamic weapons on that end of the court, with James Blackmon (17.0 PPG), Thomas Bryant (12.6 PPG), and OG Anunoby (11.1 PPG in 16 games) all leaving early. While Robert Johnson (12.8 PPG), forward Juwan Morgan, and point guard Josh Newkirk should keep the offense afloat, it’s hard to see Indiana scoring at the eye-popping rate it has in each of the past three seasons. Greater intrigue — and room for improvement — lies on defense, where frontcourt size will be an issue, but versatility will not. On the one hand, rim protection may be a concern: with the 6’10” Bryant no longer lurking the paint, only one returning player stands taller than 6’7″. On the other hand, Miller’s Dayton squads were often defined by their lack of size, great versatility and penchant for swarming the paint. With players who can defend multiple positions like Morgan, Colin Hartman, and a slimmed-down DeRon Davis, Indiana has the potential to make a vast, immediate improvement on the defensive end. That is, of course, if Miller can get can get his offensive-minded roster to fully buy in. Many sophomores in the Big Ten have a significantly greater role this season than they did as freshmen. That is to be expected, of course, as the second year is often when players make their biggest strides in development. Some highly-recruited guys, however, continue to disappoint, while others who may not have been so highly regarded have by now become viable contributors for their teams. This series of posts is meant to check in on a few of the different sophomores in the league to determine whether they’ve improved in their first year-plus and what it means for their teams going forward. Next up in the series is Indiana forward Troy Williams. Williams really hasn’t been mentioned much since his suspension for the first two games of the season along with fellow sophomore Stanford Robinson. As a result, his improved play has gone mostly unnoticed due to the hype surrounding freshmen James Blackmon Jr. and Robert Johnson. His numbers are up across the board, though, and he’s been especially effective as this year’s team incorporates a good deal of their transition offense without the scourge of last season’s turnovers. Williams has also been really consistent, reaching double-figure scoring in all eight of his games and pulling down four rebounds or more in every game but one (the Hoosiers’ Jimmy V Classic loss to Louisville). He’s also cut the long jumpers out of his game in favor of more shots at the rim after making only 20.7 percent of his three-point attempts last season. This is the root cause of his significant jump in field goal percentage. He’s still flying around and making a lot of plays based on his athleticism, but this season he is doing so in a much more efficient manner. Could Indiana Upset SMU Tonight? Indiana was routinely called to task last season (mainly by Dan Dakich) for playing an underwhelming non-conference schedule. There was some evidence that loading up on cupcakes seemed to hurt the Hoosiers, as they clearly weren’t ready for the arduous nature of the Big Ten slate once conference play started. This season Tom Crean’s team is challenging itself by taking on SMU tonight in Assembly Hall. The Mustangs are coming off a beatdown at the hands of Gonzaga in Spokane, but bring excellent size and experience to Bloomington. Keep up the Hot Three-Point Shooting: The Hoosiers have started the season shooting the deep ball at an insane 21-of-38 clip (55.3%). Gonzaga overwhelmed SMU on Monday night with size in its 72-56 win, but the Zags also hit 10 three-pointers to create some distance. Indiana has similar weaponry on the perimeter with its trio of Yogi Ferrell, James Blackmon Jr., and Robert Johnson, and will have to get by with what they’ve been doing in their first two wins– primarily spreading the floor with shooters, using the drive-and-kick game, and getting out in transition. As always with Indiana, turnovers will be a key. 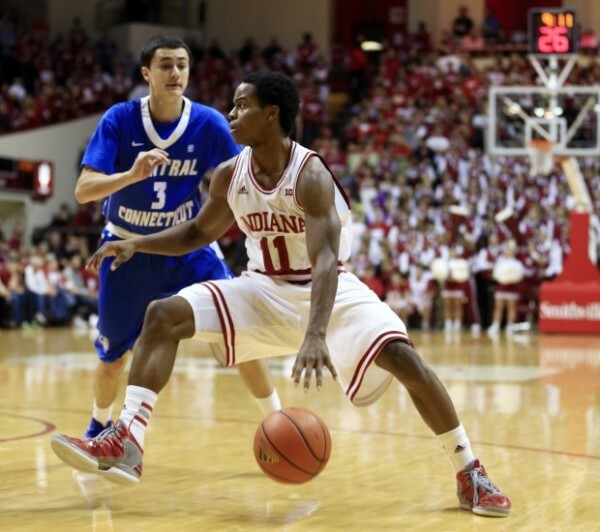 If the Hoosiers get too sloppy, SMU has the ability to take advantage of those opportunities. Michigan will have an advantage on the perimeter with the trio of Caris LeVert, Zak Irvin, and Derrick Walton Jr in many of the games it plays this season. The question marks mainly lie with the Wolverines’ inside play, but overlooked forward Max Bielfeldt could provide some answers. Bielfeldt only had 38 career points before Michigan’s game against Bucknell on Monday night, but after not even making an appearance in the team’s opening game, he went off for 18 points. Bielfeldt has never had much of a chance other than some spot cameos throughout his career, but if he can continue to consistently provide scoring in the post, then the Wolverines’ prospects for another deep NCAA Tournament run just got much better. 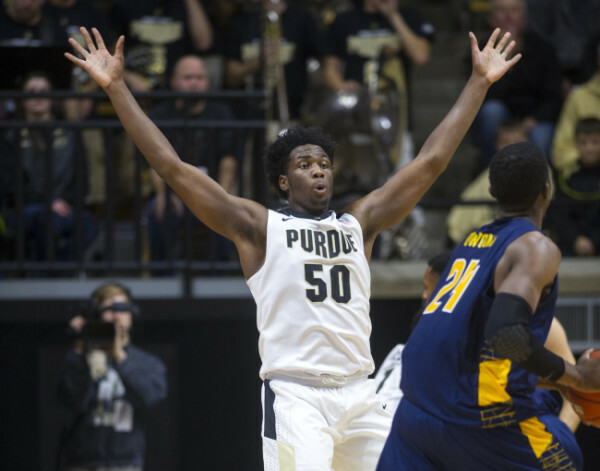 Anthony Clemmons became something of a forgotten man last season, as the sophomore struggled to find court time even with Iowa playing a bunch of players. He has cracked this year’s starting lineup for the 2-0 Hawkeyes, however, by bringing a newfound confidence in his outside shot. After going only 6-of-16 through all of last season, Clemmons has already hit 5-of-6 from behind the arc and is averaging 11.5 points per game. His hustle plays are what’s keeping him in the lineup, though, as Fran McCaffery noted that “it’s infectious to the rest of the team.” Iowa and Clemmons will be tested going up against Texas and standout guard Isaiah Taylor on Thursday night in Madison Square Garden. Maryland has gotten off to a 2-0 start in its first season in the B1G, and the Terrapins are doing so with heavy contributions from their freshmen class. In their Monday night win over Central Connecticut State, Melo Trimble, Dion Wiley, and Michel Cekovsky all performed well. Trimble surprisingly led the team in rebounds with eight; Cekovsky had three blocks in 18 minutes; and Wiley managed to score 10 points and snag five rebounds in 19 minutes of action. Many freshmen in the league have come in and made an impact, but Maryland is a team that definitely needs big support from their first-year players if they hope to remain competitive with the mid-tier of the league in their first B1G season. Among the takeaways from Indiana‘s win over Texas Southern on Monday night was the fact that certain players are stepping into bigger roles and contributing in a number of different ways. Freshman Robert Johnson is at the top of that list, as he’s played with a level of maturity that belies his first-year status. Johnson is a year older than the typical college freshman due to a reclassification during his junior year of high school. While it’s doubtful he’ll sustain a stat line of 18.0 PPG, 6.0 RPG and 5.5 APG all season, he’s shown that Tom Crean did valuable work in getting Johnson and fellow freshman James Blackmon Jr. into an Indiana uniform. Fresh off of a disappointing loss in its season opener against Louisville, Minnesota has the chance to get a needed confidence boost in the form of three home games in five days. These contests are all against teams that the Gophers should beat, but the quick turnaround between them could really test their depth. Minnesota passed its first test on Tuesday night against Western Kentucky, and head coach Richard Pitino should have a chance over the next few nights to give his newcomers a great chance to get comfortable in his defensive system.